What this record lacks in lyrical prowess (although I admit that they are effective in their simplicity) it makes up for it in terms of performance and velocity. Knowing they had a good thing, the vocal/ drum breakdown (the highlight of the record in my opinion) repeats for a second time which just flat out rocks. Z.Z. 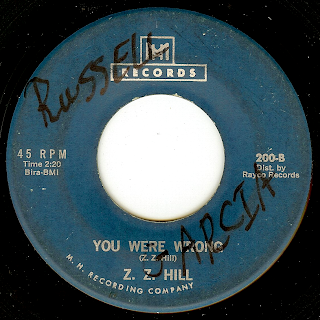 Hill was from Texas, began his career singing gospel and around the turn of the 1960's decade he fell under the spell of blues which changed his direction. Up until the end of his short life (he died in 1984 at age 49) his records were strongly rooted in his voice as a soul singer, which we here on this record in full bloom. Shortly before the release of this record, Z.Z. had moved to Los Angeles, which is where this record was cut. You're on a roll this past week.. one great 45 after another! Thanks for the top tunes! Hello dear sir. My name is Russell Garcia. Can you please send this record back to me. beautiful!I look forward to your page every day! This is one of my favorite Z.Z. Hill songs. Grand Puba sampled Z.Z. 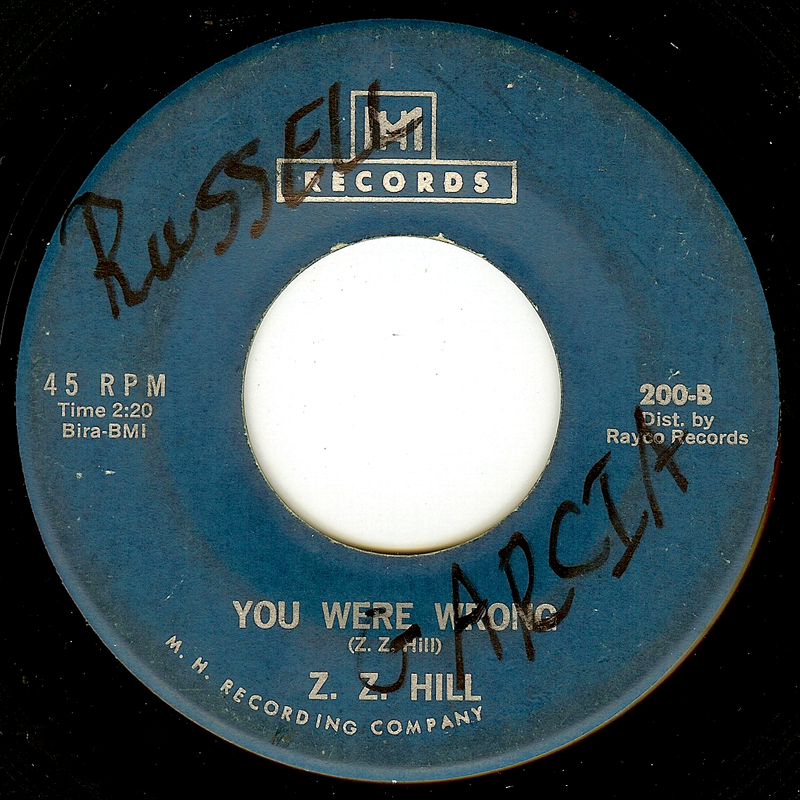 Hill's song, "You Don't Love Me" on his rap song, "That's How We Move It"